Retirement wishes, expressing hope for a long and happy retirement, are a feature of the retirement dinner and retirement speeches. Retirement quotes may be written on retirement cards, accompanying retirement gifts. Retirement brings challenges and opportunities, before retirement dreams are fulfilled. 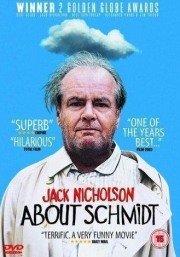 About Schmidt, staring Jack Nicholson is one of my favourite movies. The film has wonderful characters, evokes strong emotions and the theme or plot is relevant to retirement-stories - retirement wishes versus reality. It’s a five star movie for retirees! This funny and moving story takes a sobering look at retirement. Warren Schmidt (Jack Nicholson) has arrived at several crossroads all at once. He is retiring after a lifetime of service with the Woodman of the World Insurance Company. In thinking about his life’s work and contribution, he has regrets and disappointments. He has concerns about his future. Given his career, it is fair to assume that his retirement financial planning is secure, but he has neglected his retirement lifestyle planning. Schmidt looks uncomfortable at his retirement dinner. Perhaps he doesn’t like being the centre of attention, in this way. The newer employees know little about his career and some of the retirement speeches and jokes are impersonal. His colleagues tell him how they will miss him, personally and professionally. They urge him to stay in touch and to be sure to drop in to see them now and again. His successor talks of big shoes to fill and promises to call him if he has any questions. Schmidt drops by the office a few weeks later. I was in the neighbourhood, he announces. Colleagues are busy but happy to see him ‘looking great, retirement suits you! Things are hectic around here, drop by again soon’. He visits his former office. It looks different now, newly painted and carpeted, with family photographs and testimonials belonging to his successor. They engage in small talk. The new incumbent has no questions, the handover has been seamless! On leaving the building he is dismayed to see that his boxes of neatly packed files and folders are in a skip, to be discarded. A newly retired person often enjoys a honeymoon phase of being free to do the things he or she has wanted to do for years. Not so for Schmidt. He is confused and discouraged and finds it very difficult to adjust to a life of leisure and retirement hobbies. He misses the structure that work gave to his life and wondered how his relationship with his fussy wife of 42 years would change, now that he was around the house most of the time. They had bought a motor home and planned to tour the country, as an alternative to seeking best retirement locations, but he didn’t feel like starting that yet. Schmidt’s wife dies suddenly leaving him hopelessly adrift. The constants in his life are gone. He has lost his job, his wife and his daughter is set to marry a man he doesn’t approve of. Daytime Television is now part of his routine and he becomes acquainted with Judge Judy, Jerry Springer, Dr Phil and Oprah. Television introduces Schmidt to a new friend. He sees an advertisement inviting sponsorship of an African child for $22 per month. Schmidt begins writing to Ndugu Umbo, a six year old Tanzanian orphan. Through the letters Schmidt reviews the life he has lived and his concerns about the future. It doesn’t matter that the child cannot understand the letters. Rather like a retirement coaching conversation, the exploration and self discovery is for Schmidt’s benefit. He sets off on a journey from Omaha to Denver. Along the way he meets interesting characters but he finds it hard to connect with people. The only person he can share his thoughts with is Ndugu. I know we’re all pretty small in the big scheme of things, and I suppose the most you can hope for is to make some kind of difference, but what kind of difference have I made, what in the world is better because of me? I am weak and I am a failure. Relatively soon I will die, maybe in 20 years, maybe tomorrow, it doesn’t matter. Once I am dead, and everyone who knows me dies too, it will be as though I never even existed. What difference has my life made to anyone-none that I can think of, none at all? Hope things are fine with you. When Schmidt arrives home to Omaha he receives a letter from a nun who cares for Ndugu. She writes that he enjoys the letters, which she reads to him, and that the money is much appreciated. She encloses a stick figure drawing of and adult and a child holding hands. Schmidt weeps with emotion and is heartened by this small triumph, which was not contemplated in his retirement wishes.